MoreOur firm provides representation in all Family Law matters with a focus on quality of service. You need not only an aggressive attorney, but an attorney focused on your needs. Schedule your initial consultation at no charge with the Law Office of Stacy ...Our firm provides representation in all Family Law matters with a focus on quality of service. You need not only an aggressive attorney, but an attorney focused on your needs. 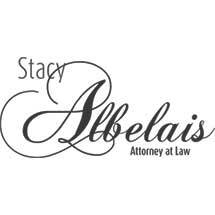 Schedule your initial consultation at no charge with the Law Office of Stacy Albelais by calling (951) 686-8662.